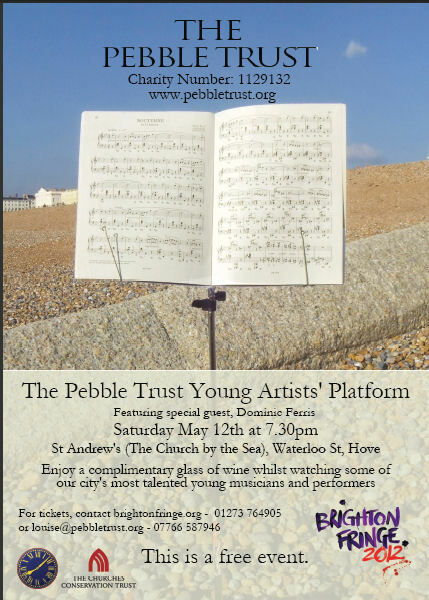 Since 2009, the Pebble Trust has been awarding grants to exceptionally gifted young people in Brighton and Hove. This year, for the very first time, some of these extraordinary talents will be performing for one night only, as part of the Brighton Fringe 2012. Featuring the incomparable Dominic Ferris as a special guest and musical director, the evening promises a rich variety of music and drama, all performed by young people on their way to the very pinnacle of their chosen art form. The show will include solo performances on viola, piano, sax, trumpet and oboe. 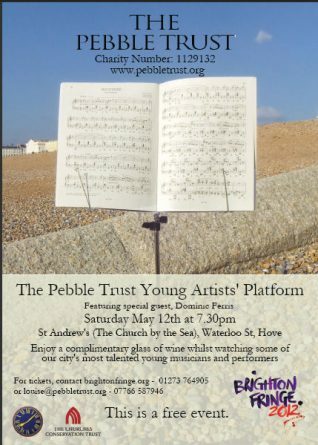 The show will take place at St Andrews, Waterloo Street, on Saturday 12 May at 7.30 pm.